Since its founding in 1897, Allendale has proudly served children, youth, and their families from all walks of life. These children, often victims of abuse, neglect or severe mental and/or behavioral health problems, come to Allendale with the devastating experiences of failure in the classroom, misunderstanding in the home and isolation in the community. Helping these children to heal and prepare for a brighter future requires highly sophisticated therapeutic programs and services. 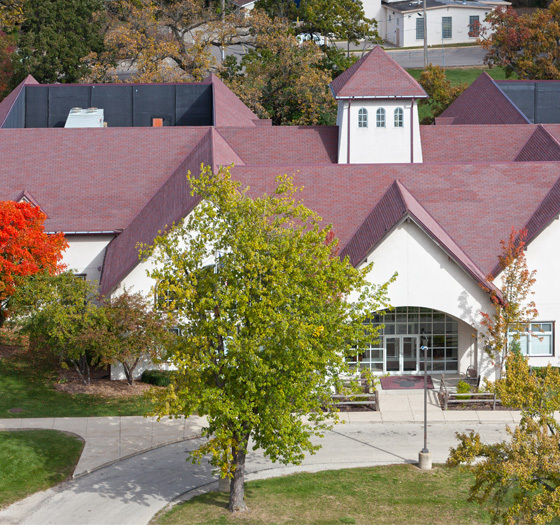 Allendale’s educational, residential, clinical, vocational and recreational programs are provided within safe, aesthetically designed facilities. 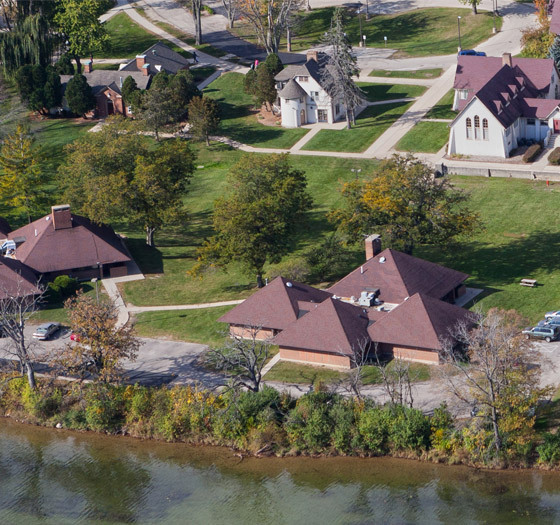 The main campus in Lake Villa, Illinois houses the Elizabeth Morse Special Education School, the Bradley Counseling Center and intensive residential treatment programs for youth 6 to 18 years of age. Additionally, Allendale has residential treatment programs in North Chicago, IL, as well as group homes in Waukegan, IL; an outpatient community based child/family counseling center in Gurnee, IL and an extended day treatment special education satellite program for children and youth from surrounding communities in Woodstock, IL. Today, we serve over 800 children, youth and families annually. •In Fall 2015, the Mazza Red Barn opened, funded by the Mazza Foundation, expanding our Career and Technical Education program. 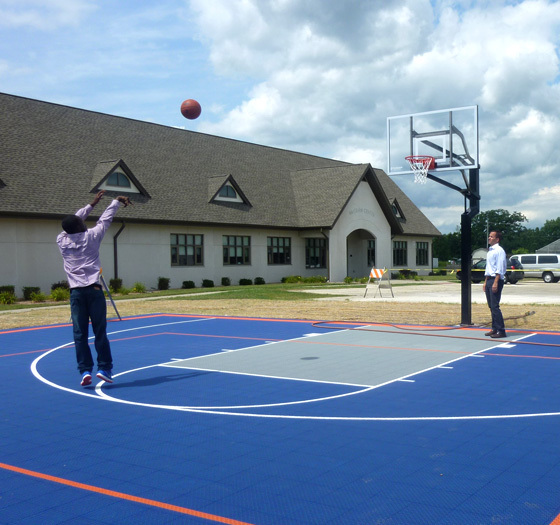 •In 2015, a new Multi-Use Outdoor Sports Court was constructed, due to the generous donation of a volunteer/mentor, Tony Buckun. •In 2016, the Student Technology Center, supported by the Shelter Club, opens for students use. •In June 2010, the Shelter Club Commons Cafeteria. 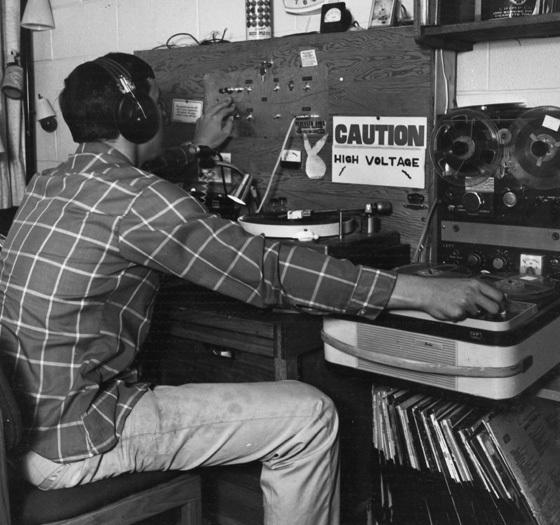 •In February 2012, the McGraw Center (housing our Maintenance & Facilities departments). •In May 2014, McCormick Complex (housing our Medicaid, IT & Therapeutic Rec departments). •In May 2014, Medical Services Center. 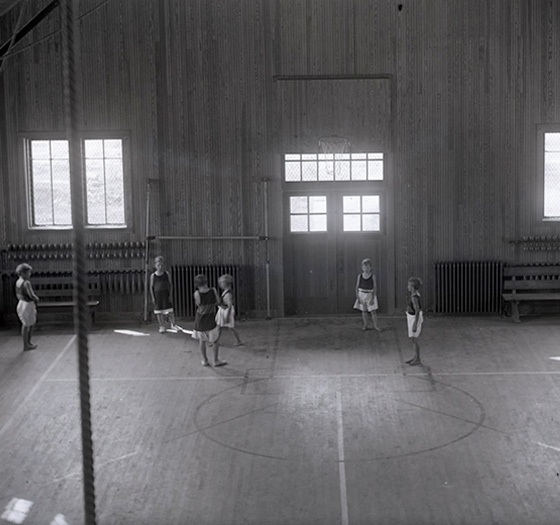 •In October 2014, the Myers Gymnasium. •In 2002, ML’s Place, a new Career and Technical Education center was dedicated in memory of ML Bromwell, Shelter Club member and friend of Allendale. •In 2003, Shelter Cottage building opens focusing on highly intensive, short term residential treatment. The Proops Professional Development Center also opens, in our Bradley Counseling Center. •In 2004, Holway Cottage, original Shelter Cottage, was renamed honoring Allendale past President, Robert Holway. •Allendale LINC Day Treatment Satellite program opens in Union, IL (currently located in Woodstock, IL). •In 1995, through the Elizabeth Morse Genius Trust, the Elizabeth Morse Education Center is dedicated on the main campus. 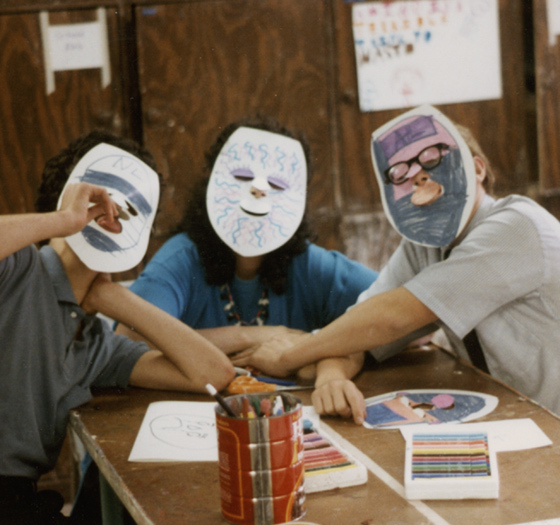 •Also in 1995, the Independent Living Program is implemented to help youth transition into the community. •Lacy & Laurance Armour Child Adolescent Unit was dedicated on the main campus, focusing on highly intensive, short term residential treatment. 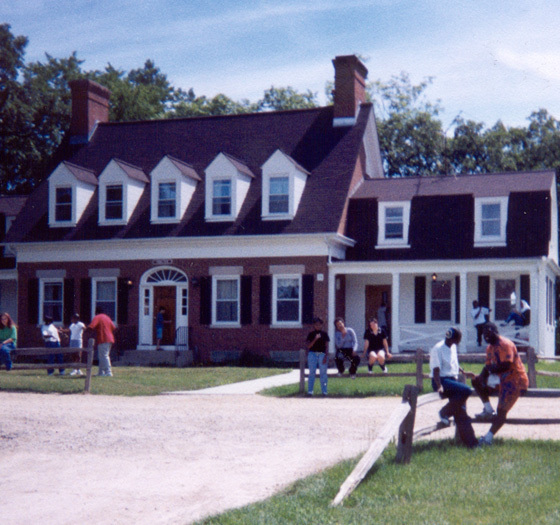 •In 1991, Bradley Counseling Center reopens at the former Gordon Cottage site. •In 1994, Allendale opens the Benet Lake intensive treatment facility in Benet Lake, WI. •In 1987, Allendale adopts a policy to operate a co-educational/residential program and begins accepting girls. 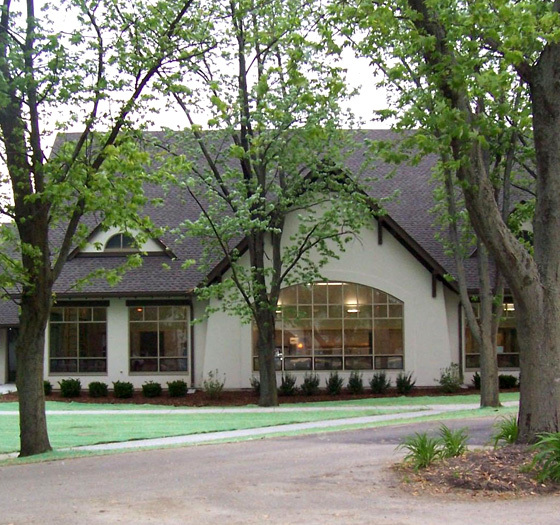 •In 1987, Walter Cherry Group Home was built in Waukegan, IL through the generosity of the Cherry Family for older youth/young adults who were entering the workforce. •In 1988, Allendale collaborates with American Psychological Association to develop a Pre-doctoral Internship program. Allendale also receives North Central Association Commission on Accreditation & School Improvement accreditation. •In 1980, Allendale develops a private school program plan to begin accepting referrals/placements from local public school districts. 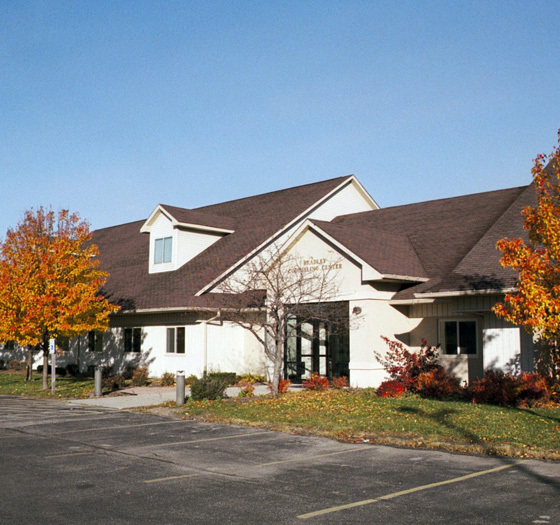 •In 1982, Edward L. Bradley Outpatient Counseling Center opens to serve children & families from Lake/McHenry counties. Allendale also receives accreditation from Joint Commission and the Council on Accreditation. •In 1986, Allendale adopts new bylaws and organizational structure, adding a Board of Trustees, Chairman & President/CEO. •Bush Cottage, through the support of the Bush Foundation, was added to Allendale’s main campus. •Shumway Cottage, through the estate of John Stuart, was also built as an additional residence. •In 1974, Allendale becomes a licensed Child Welfare Agency and introduces a new behavioral treatment philosophy. Lake Villa school district #41/SEDOL also takes over the on-campus education program. •In 1975, a Specialized Foster Care program is implemented and Allendale begins receiving referrals/placements from the Department of Mental Health. •Becker House Group Home was built in Waukegan, IL for young adults who were entering the workforce. 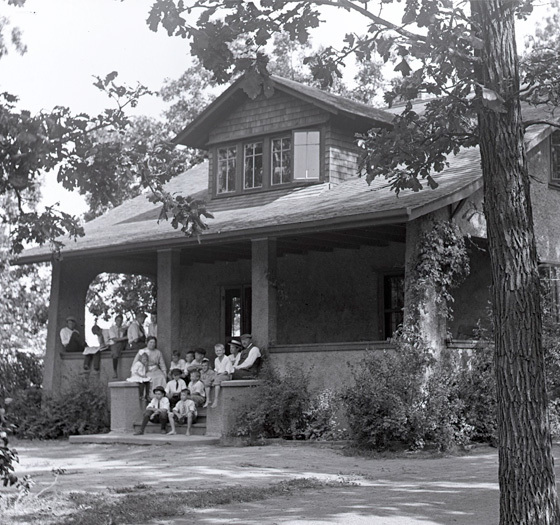 •Leslie S. Gordon Memorial Cottage was built as a separate residence for the students attending Antioch High School. 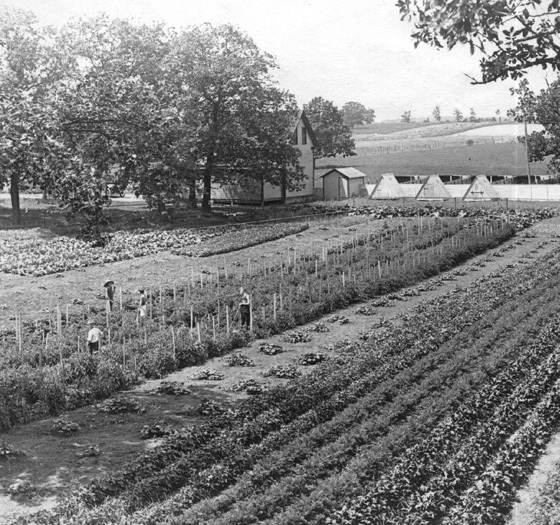 Allendale Farm became the Allendale School, with increasing specialization and professionalism. This was the last year for farm operations due to the economy and major change in Allendale’s programs. 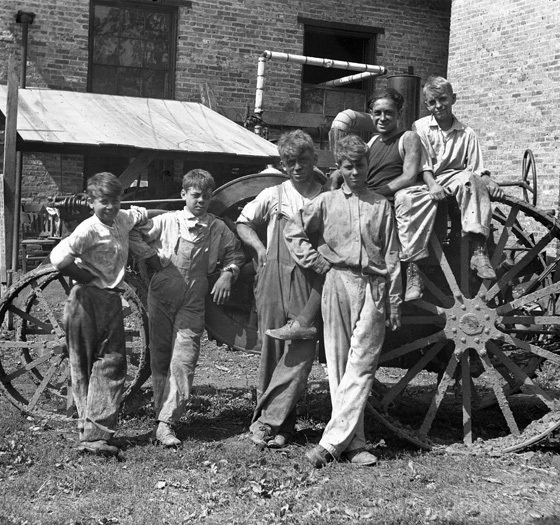 After World War II, other agencies had also developed home care for boys, but there was an emerging trend: Allendale was receiving boys with personality and behavioral problems. 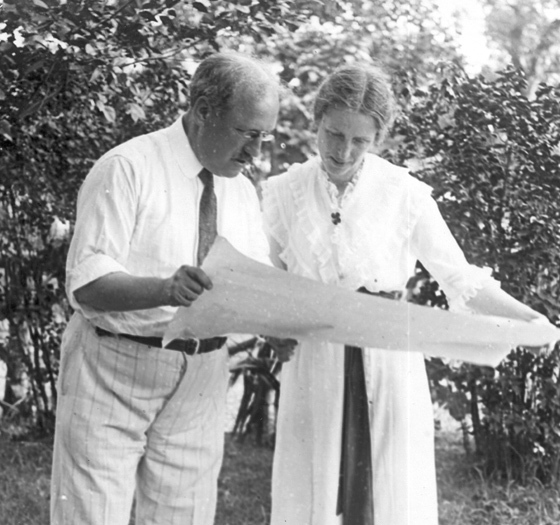 After earning national recognition for Allendale and being personally honored by Princeton University, Edward “Cap” Bradley retired and moved with his wife, Maud, to California. Allendale housed a School, L.E. Myers Gymnasium, Pearson Memorial Library, Katherine Allport Memorial Print Shop and the Marian Farwell Chapel. Shelter Cottage is completed through funds from The Boys Shelter Club. Today, the Shelter Club continues to raise funds in support of Allendale’s programs and services. 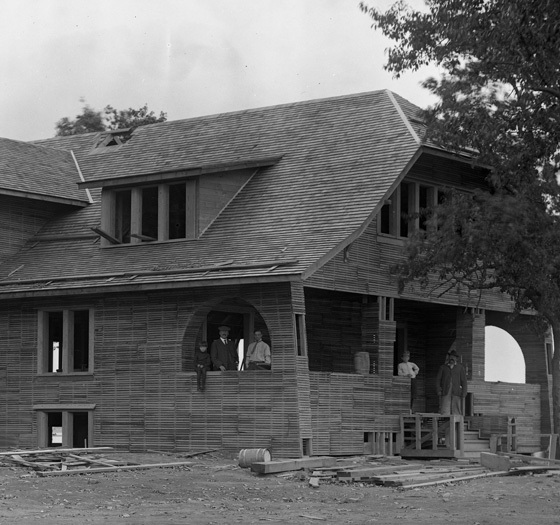 By 1901, five cottages had been built beside Cedar Lake in Lake Villa, IL. •Bradley raises enough money to buy Allen’s farmland, with the help of his brother, William Bradley (Uncle Billy), his future wife (Aunt Maud), and her aunt (Aunt Kate). •Articles of Incorporation formalize plans to provide for homeless/neglected boys. 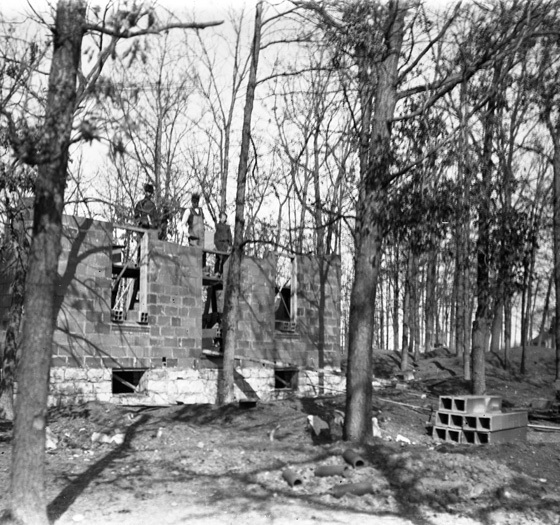 After spending the winter in a hayloft of the Bradley carriage house, in the spring of 1896, Cap Bradley built the first house… and inhabited it before the plaster was dry! 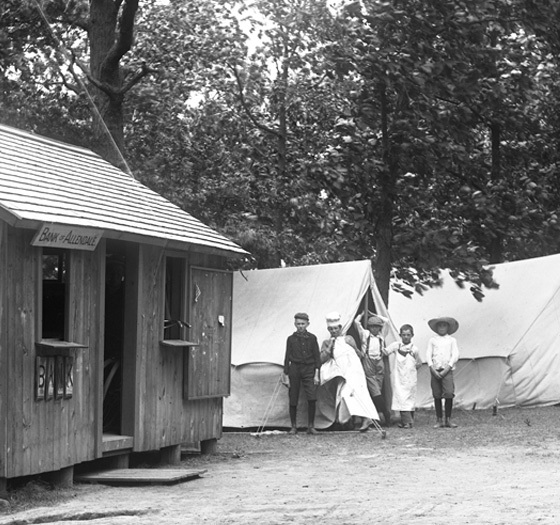 After summer camping near Lake Villa, IL, Edward “Cap” Bradley leased (with just $25 in his pocket) 40 acres from farmer, Cicero Allen. 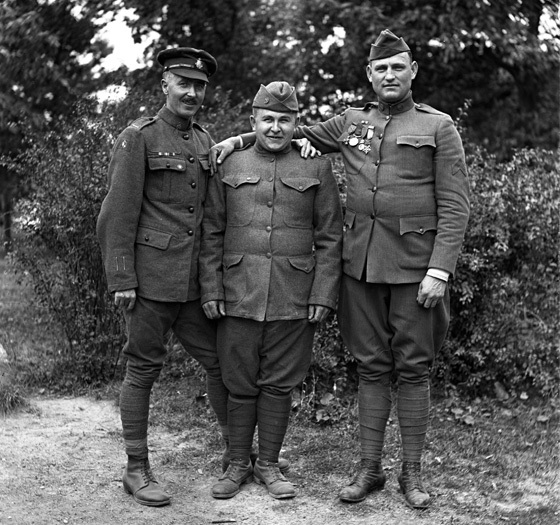 To view more of our historic photos, please visit our page on archive.org.